My name is Adler Martins. I`m a Brazilian lawyer who lives Brazil. In spite of that, most of my clients are foreign companies doing business with Brazilian companies. I graduated at one of Brazil’s greatest Law Schools: The Federal University of Minas Gerais (UFMG). I also have a MBA by Fundação Getúlio Vargas. 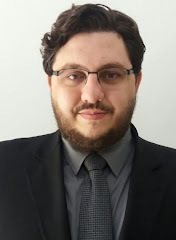 Finally, I have been taking some additional courses, such as credits of the Masters Course (LLM) at the Pontifical Catholic University of Minas Gerais and some extra credits in Financial Planning. I study philosophy with a private tutor. I can speak English, Spanish and Portuguese, aside from some German and some Chinese (Mandarin). vii) international arbitration in Brazil. Since 2017 Bitcoins and cryptocurrencies have been in my radar and I have started working with several tech and financial companies that use this kind of technology. I have had work experience in the USA, Argentina, Mexico, India, England, China and Dubai. and have given lectures on Foreign Investment Regulation in Brazil to audiences in India and England. Currently, I work advising companies and entrepreneurs on how to do business in Brazil. This blog is my venue to communicate with business people and also with other lawyers who want to discuss issues related to Brazilian law.